It’s easy to send an email or a text message to family or friends, but it’s more personal to express a well thought out message with custom greeting cards. 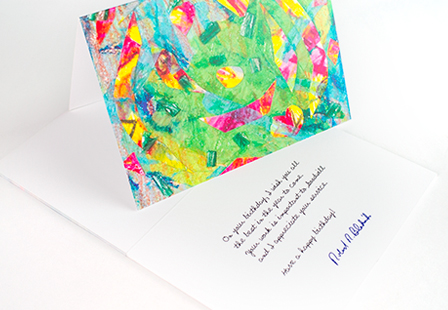 From announcing a special event to sending a thank you cards to customers, they are great for any occasion. Why select our uncoated greeting cards? The advantage of choosing uncoated paper is that you can easily include a handwritten message with a pen or pencil without the fear of smudging. They are available in a variety of sizes and options including; scoring, slits and adding blank envelopes. Keep that personal touch with uncoated cards.